PERC Brings On 2 Interns for Spring Semester! Pitt recognized both state-wide and nationally for commitment to zero food waste! 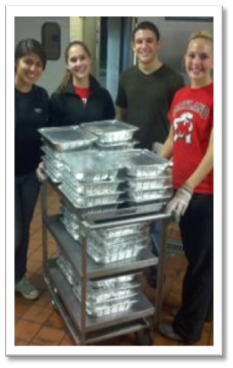 PERC is proud to be the organizing body for the Pennsylvania Higher Education Food Recovery Challenge. Working together, PERC schools can challenge each other to cut down on food waste and see benefits that range from reducing hunger to reducing campus GHG emissions. Find out more! Blueprint for the Future, PERC's Conference on Sustainable Development Goals and Higher Education was held Tuesday April 9th in the HUB Center on Penn State's University Park campus. Conference participants came together to explore higher education's role in the SDGs and Agenda 2030. Find out more about PERC's 2019 Spring Conference! For the information packet click here. For the PowerPoint from the conference click here. For the presentation by Ted Monk, Vice President of Sustainability and Corporate Responsibility for Sodexo North America, click here. For a recap of the day from an intern's perspective click here. To find out more about John Quigley's keynote click here. 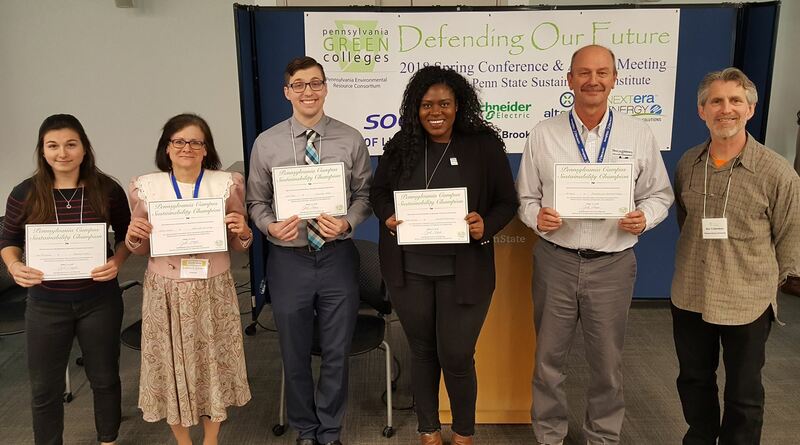 The PERC Executive Committee has announced the Campus Sustainability Champions for 2019. 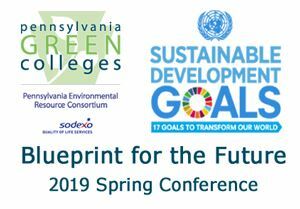 The title is awarded to students, faculty, administrators, and staff of Pennsylvania colleges and universities who have made meaningful contributions benefiting social, economic and/or environmental sustainability on their campus, in their community, or in society at large. Contributions can be in areas of teaching, research, co-curricular programs, campus culture, community service, and campus operations, including food recovery. 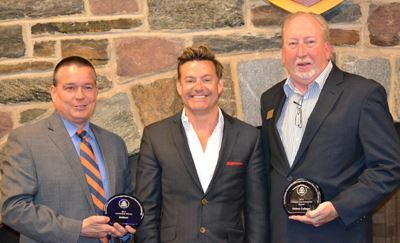 Representatives from the EPA, Sodexo, Ursinus College and PERC gathered recently to celebrate the awarding of not one but two national awards to Pennsylvania Higher Ed Food Recovery Challenge organizations. One award went to PHE-FRC Sustaining Sponsor Sodexo--the Leadership Award for their role in making the PHE-FRC possible and carrying lessons learned here to other parts of the country. The second award recognized Ursinus College's outstanding progress in their food recovery data. EPA Regional Acting Adminstrator for District III, Cecil Rodrigues noted the impact and the import of the work that both Ursinus and Sodexo are doing. There is more about the awards and the event here. DCNR Secretary Cindy Dunn gathered with students, faculty and other interested parties in in March to launch the Think Outside program, a DCNR program that grew out of a collaboration with PERC. Students from PERC Member institutions Shippensburg University and Messiah College will participate in the pilot projects of the program. The Think Outside program invites students and professors to use state parks and forests to cultivate new ideas and build stronger connections with our natural resources, and then share their projects, activities, research, or proposals with DCNR. More about Think Outside is available here. 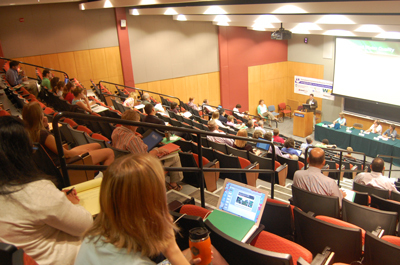 Founded in 2000, PERC serves to connect people working on sustainability projects in Pennsylvania's colleges and universities; allowing them to share knowledge and take action towards a sustainable future. We believe institutions of higher education are in a unique position to play a leadership role in bringing about that future. 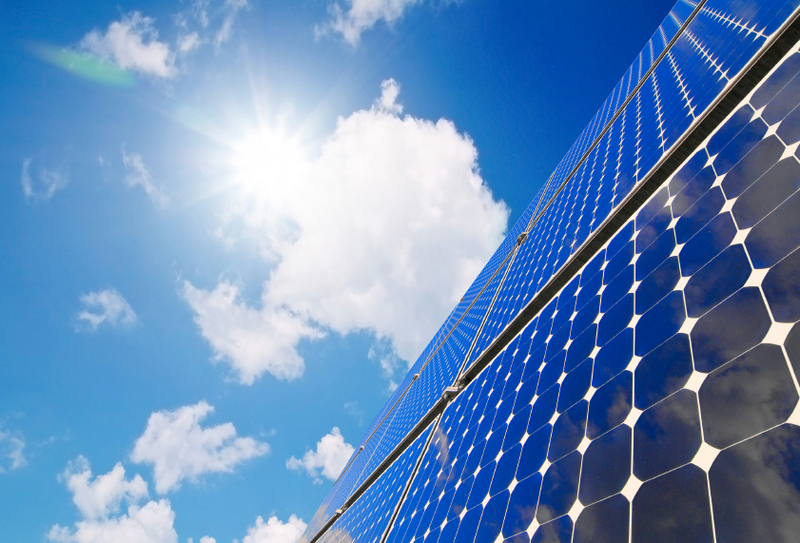 With over seventy member and affiliated institutions, PERC has a long list of organizational accomplishments, including the initial development of wind power in Pennsylvania. PERC is widely recognized as one of the leading regional sustainability in higher education organizations in the country. For a look at a portion of this year's planned events and activities, see the PERC events section of the site. 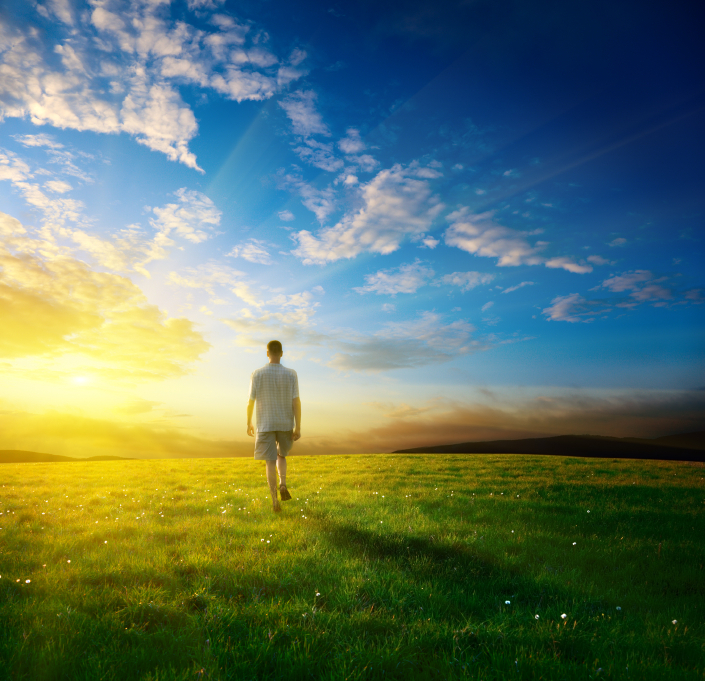 For more on PERC, see the about us pages. Jim Gurley, District Manager with Sustaining Sponsor Sodexo, talks about the PA Higher Education Food Recovery Challenge during PERC's "Changing Times" fall conference. 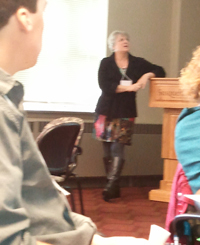 Julia Knight, HACC's Director of Sustainability, presenting at PERC's Making Progress Conference at Susquehanna University. Paul Morgan, West Chester University, talks about community engagement at the Leveraging Strengths Conference at Franklin & Marshall College. 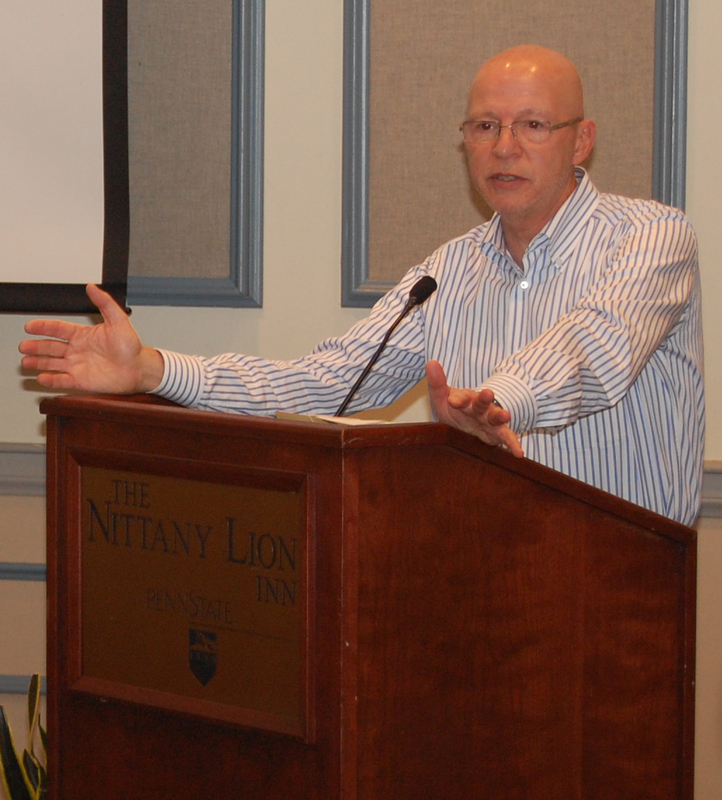 Second Nature founder Tony Cortese giving the keynote address at PERC annual meeting at Penn State University. 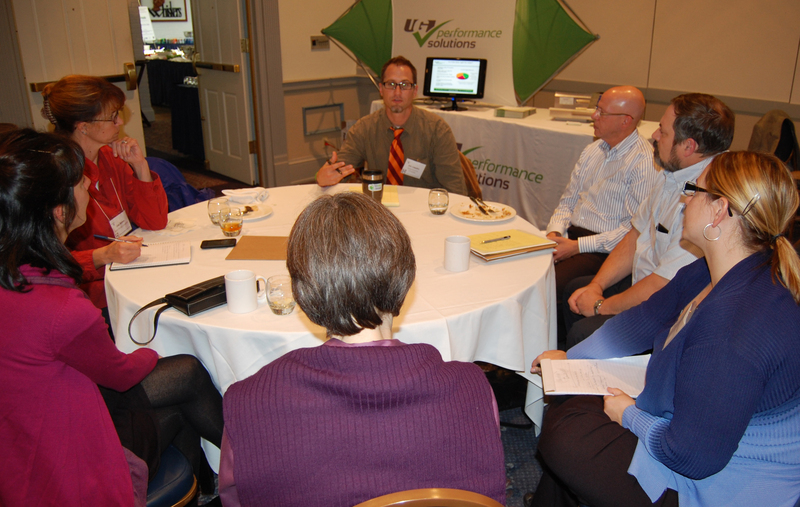 Conference attendees taking part in the Sustainability Cafe.